Android Reborn – When your Android feels slowing down, you need to restart it. It will not only smooth it but also reduce the heat. Usually, we restart an Android using the power button. However, pushing power button too often will make it broken. Actually, you can restart your Android remotely. Download Remote Power Off App. 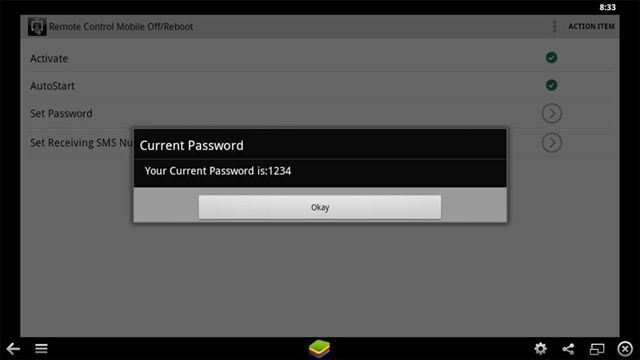 This app can help you how to reboot Android phone remotely. So, you have to download it first from Google Play store. Open the app an fulfill the Codes. On the column of “Enter Current Code”, type “null”. For “Enter New Code” column, fill your desired code. For example is “1234”. Retype it on the column of “Retype New Code”. Now, you can restart your Android remotely. You just need to send SMS to your Android that contains the code above. In this case, just type “1234” and send it. Your Android will automatically restart or shut down by itself. That is all how to restart Smartphone remotely. What you have to keep in mind is that you must have 2 phones. Besides, you can also use it to restart or shut down your friend’s Android. However, if the app is uninstalled, you cannot do it again. It is easy and much more interesting, is not it? You also need to know that it does not danger your Android phone. Hopefully this is useful for Android users.